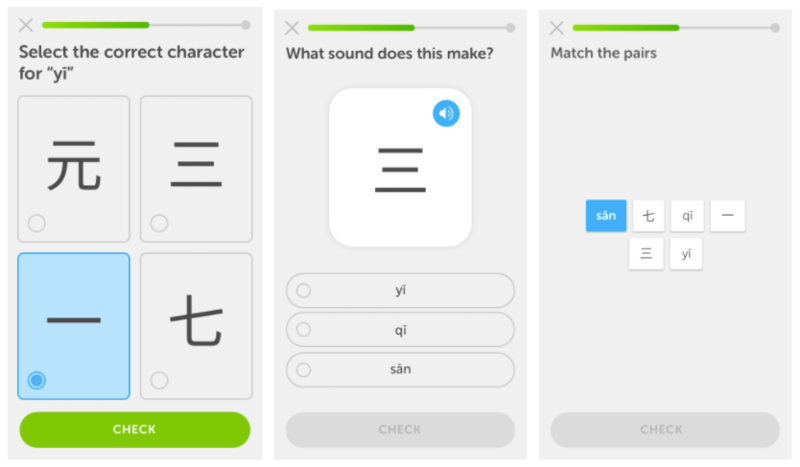 Earlier this year, Duolingo launched its Japanese course, which marked the first time the popular language learning service offered support for an Asian language. Since then, it’s also launched support for Korean and starting today, you can use the services mobile and web apps to learn Chinese (or, to be more precise, Modern Standard Mandarin), too. The company notes that a Chinese course was one of the most requested language courses in the service’s history. As the team told me when it launched the Japanese course, building the infrastructure for supporting Asian languages took a while, but now that this is in place, launching support for new Asian languages is significantly easier. Duolingo is pretty upfront about the fact that Chinese is one of the most difficult languages to learn for native English speakers. The app, however, promises to teach you the basics without having to spend a few thousand hours in a classroom. One of the hardest parts of learning Chinese for English speakers (beside its characters) is probably that it’s a tonal language, where a high, low, falling or rising tone can make a big difference in the meaning of a word. It’s no surprise then that the Duolingo course puts quite a bit of emphasis on this. As far as characters go, the course focuses on about 1,000 words and 1,000 characters, which is about what you need to pass the first three levels of the official Chinese proficiency test. As with all Duolingo courses, the company is focusing its lessons on themes like food, culture, travel, business and finance.